On Sunday, November 8, 2015, the Los Angeles Jewish Home will host its annual gala, Celebration of Life: Reflections 2015 honoring its CEO-President, Molly Forrest. Save the date for what promises to be one of the most exciting events of the year! Join in our celebration of Molly's twenty years of outstanding service and the future of the Home under her continued visionary leadership. Celebration of Life: Reflections 2015 will be held at the Beverly Hilton Hotel. The evening will begin with cocktails at 5:30 p.m. followed by dinner and program at 6:30 p.m.
Co-chairs for the gala are Cecilia and Jeffrey Glassman, Lenore and Fred Kayne, and Pam and Mark Rubin. Internationally acclaimed American/Israeli actor and entertainer Mike Burstyn will serve as Emcee with music provided by the Skye Michaels Orchestra. 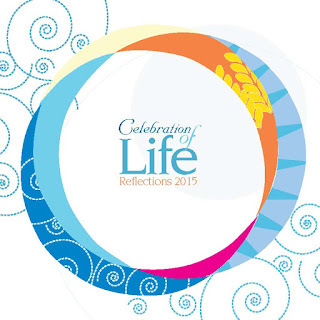 As always, Celebration of Life: Reflections 2015 brings the community together to celebrate the spirit of philanthropy that makes the Home's life-enhancing programs possible. A highlight of the evening is sure to be the premiere of this year's Jewish Home video, which will feature a retrospective of the accomplishments and expansion of the Home's programs and services over the past twenty years under Molly's guidance, as well as plans to serve even more seniors in need in the future. For more information about Celebration of Life: Reflections 2015, please contact Corey Slavin atCorey.Slavin@jha.org or (818) 774-3031.